We all know the premise by now: in a world where the original XCOM program failed to defeat the invaders, Earth is ruled by extraterrestrial beings. Your job is to lead a group of rebel humans in liberating all of mankind from these overlords. PC players have had access to the game since February, with a promise to console players for a release in early September. Unfortunately, delays pushed that release date back until September 27th. What, oh what, is a Commander to do? In order to help fill the extended void, I sat down and compiled a list of features new to XCOM 2 to whet our appetites. Perhaps the best promise for a tactical game is to supply new class types for Commanders to control, or update the classics. 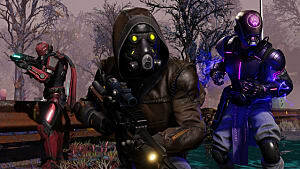 For XCOM 2, these new and modified classes are Specialist, Sharpshooter, Grenadier, Psi Operative, and Ranger. 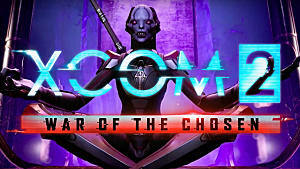 Below are the XCOM website's official Skinny for each class and a more detailed explanation. 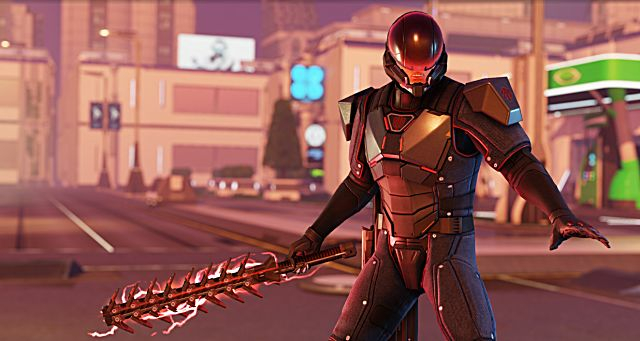 XCOM 2's Specialist is a mix of Brains and Brawn. The specialist is a new class in XCOM's universe. While most units can hack turrets or terminals, the Specialist gets a higher affinity score for the task. 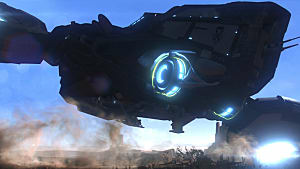 What truly makes them unique, however, is the availability of their Gremlin-- an automated drone that can fight by the Specialists side, hack from a distance, or supply buffs to allies. However Commanders choose to use this unit, each action takes away from the Specialist's available moves in a Player Turn. The Sharpshooter is a modified Sniper class. 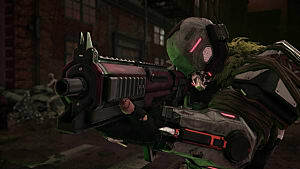 Unlike Snipers in XCOM: Enemy Unkown, however, the Sharpshooter is not relegated to long-distance damage. How to level the Sharpshooter is up to each Commander: do you want a sniper or a close-range pistol expert? Perhaps a mix of both? The Grenadier has two paths: Heavy Gunner and Demolitions. Equipped with Grenade Launchers, Canons, and Miniguns, the Grenadier's answer to the alien menace is to make things go boom. The Grenadier's attacks deal area of effect damage or critical damage, depending on which abilities you choose when leveling. The PSI Operative is a mix between a new and modified class. In the first XCOM, PSI abilities were additional levels added onto a pre-existing soldier from another class. In XCOM 2, the PSI Operative has its own class. In addition, PSI abilities are available earlier and are much more powerful. Commanders assign a Rookie to the PSI training in order to assign the class. Each PSI Operative starts with one of four possible abilities and can return to the training facility at any time to learn new abilities and gain ranks. One word: Sword. While Rangers can make use of assault rifles or shotguns, they don't need to run for cover when an enemy breaches their personal bubble. All Rangers carry a sword as a secondary weapon that allows them to make use of devastating melee attacks. In XCOM 2, mission maps are generated through an algorithm. This means that the maps will be different with every mission, rather than playing on the same map time and again with different variables such as enemy placement. Commanders will need to learn the layout as they go, making for more dramatic missions. Every enemy unit, and non-friendly civilians, in the map have a detection radius indicated by red tiles marked with an exclamation point, and entering these tiles during movement will break concealment. The detection radius moves with the enemy units, and an allied soldier may be revealed if the detection radius moves to cover the square they are currently on. Concealment can be retained however if the soldier is behind at least low cover, and is not flanked by the enemy unit from which the detection radius originates. Breaking windows and kicking down doors will break concealment. Initiating an attack, using abilities, or using grenades or items on an enemy soldier will break concealment. However throwing a proximity mine will not break a soldier's concealment. Certain mission objectives may break concealment upon completion. With proper use of Concealment, Commanders can set up ambushes before triggering constant combat between forces. In the first XCOM, we fought from underground; in XCOM 2, we take to the skies. Tactical base management plays an extremely important role in XCOM 2, more so than in its predecessor. 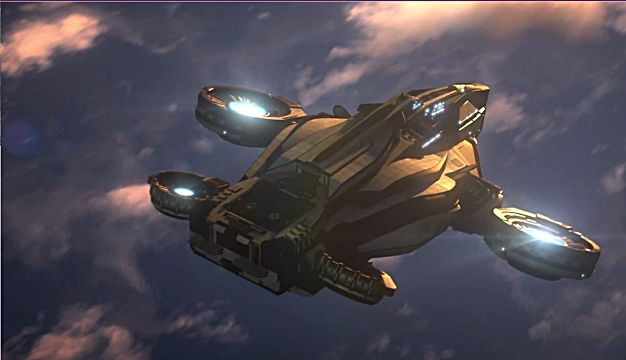 Central Command is located in a commandeered supply craft helicarrier called Avenger (Haha, I see what you did there, Marvel fans.) XCOM does not have the support of various nations, so other means must be employed for collecting resources and supplying troops. Engineers play a modified role as well-- instead of focusing on building equipment, they now modify rooms in the base and enhance their capabilities. Commanders will need to factor in resource collection while leveling their units. After all, your units aren't the only new and improved ones around. The Good Guys aren't the only ones getting upgrades. XCOM soldiers will be facing off against new and improved enemy classes, including the entirely new military police force known as ADVENT. ADVENT is full of sympathizers to the alien cause, and they'll do whatever is necessary to take down XCOM. While the main units of ADVENT (Troopers and Officers) are covered in this exclusive IGN article, below is a look at three advanced units: Sectopods, Shieldbearers, and Stun Lancers. Sectopods are unmanned drones controlled by ADVENT. They are immune to certain types of damage, including mental/psionic-- be sure to pull back your PSI Operatives! Sectopods use a mixture of AOE and focused attacks, but the most devastating ability is the Wrath Canon; luckily for Commanders, the unit must take a turn to charge. Sectopods also have the ability to extend their legs into High Stance mode, giving them improved range. Not all cover is substantial against these improved units, as they can simply bulldoze their way through obstacles such as buildings. Shieldbearers are ADVENT's main support and defense unit. Not only are they walking tanks, they can also supply defense boosts to nearby allied units. One more thing, Commander: Shieldbearers share more in common with actual tanks than thick armor. They pack a punch. If you encounter this unit on a map, it's a good idea to take them down as quickly as possible. Stun Lancers are the kamikaze melee units of ADVENT. Throwing aside their own safety, Stun Lancers will charge toward your units and attempt to stab them with their electrified blade. Stun Lancers also have a special ability which allows them to knock your units unconscious. Human organizations are just a side threat, however. 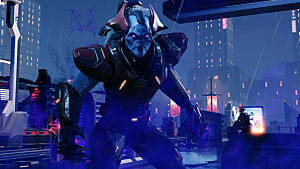 Your main opponents will be the Alien Regime, including Gatekeepers, Sectoids, Vipers, Berserkers, Mutons, Chryssalids, Archons, the Faceless, and Andromedons. When closed within their armor, Gatekeepers have limited capabilities but are very difficult to take down. Once they open up, the true battle begins. Gatekeepers can revive multiple enemy units in a single move; they also have a drain ability that steals health from an enemy unit and heals the Gatekeeper-- with a chance that the drained unit may perish and become a psionic zombie. Players of XCOM: Enemy Unknown might recognize the enemy above. While the Sectoid has undergone massive improvements due to genetic manipulation, they still make use of their wrist blasters and psionic capabilities. Oh, yeah-- and they can revive units from the dead. Unlike Gatekeepers, Sectoids can only revive one unit at a time; however, the unit can be anything from an allied unit to a civilian to one of your own soldiers. Goodbye, Thin Man; Hello, Viper. Vipers are dangerous units that can pull soldiers from cover, crush soldiers within their tails, shoot from a distance, and spit venom. Needless to say, they're bad news. They are also early game opponents. Good luck, Commanders. Like Sectoids, Berserkers are improved units originally seen in XCOM: Enemy Unknown. Unfortunately for the human race, they've received some pretty hefty upgrades. Berserkers have the most brutal melee attacks among enemy forces; if they become enraged, their damage output and range increase. Sectoids aren't the only alien units to benefit from human genes. Mutons have been upgraded, as well. Now, they have brains to go with their brawn. While they still have powerful melee attacks and special grenades, Mutons can also use an ability to affects a soldier's Aim and grant a free reaction shot if the affected soldier attempts to move. Mutons also have a change to ignore melee damage, so Rangers may want to sheathe their swords against this opponent. If you thought Chryssalids were bad before, just wait until you encounter their new abilities. Chryssalids can now burrow in order to ambush your soldier. They also have a chance to poison victims-- be they XCOM units or civilians. Should a poisoned unit die, they enter a cocoon phase before birthing three new Chryssalids. Remember the Floaters from XCOM: Enemy Unknown? Well, turns out humanity didn't really like the nightmares, so Earth's invaders decided it was time for an upgrade. Enter the Archon: an organic robotic mix capable of flight and devastating AOE attacks. When wounded, Archons enter a frenzied state and attack any nearby units with melee abilities. Just when we thought it couldn't get any worse than the Chryssalids, XCOM's developers decided to introduce Faceless. These units infiltrate mission maps disguised as civilians-- and there is no way to tell which is which. Once they decide to reveal themselves, the massive Faceless becomes a one-story-tall powerhouse with an elongated reach. Make sure to cover your soldiers when they approach any civilians; they may be in for a nasty surprise. 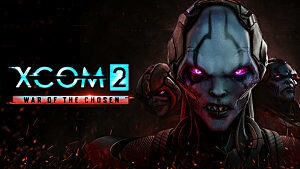 Entering the fray for XCOM 2 is the Andromedon, a new amalgamation of organics and machinery. Situated in a Battlesuit, these alien units have the ability to tear down walls, deliver powerful melee attacks, and shoot out an acidic coolant that not only damages units but also pools on the ground to create an area hazard. These units are immune to fire, poison, and acid ammunition. Are You Ready to Win Back the Earth? All right, Commanders. You've seen what you're up against. You know what you have at your disposal. 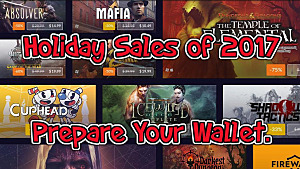 So, the question remains: Are you ready? Time will tell. 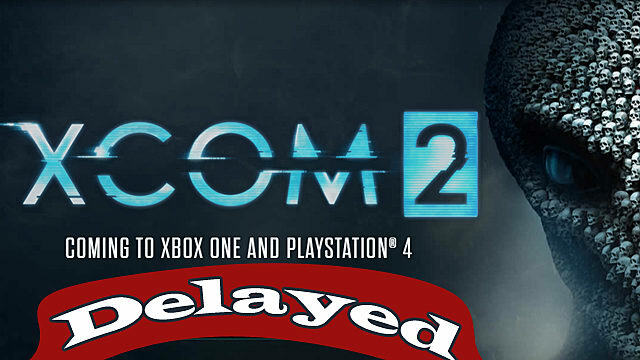 Watch for XCOM 2 to release for XBOX One and Playstation 4 on September 27th, 2016 (assuming we don't face anymore delays); you can also Pre-Order the game here. 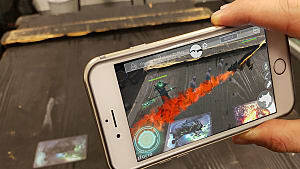 Are you looking forward to the new game? 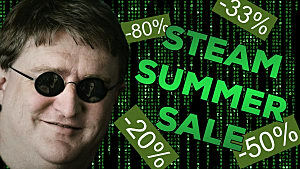 Or are you one of those lucky players on the PC who have had it for months? What do you think of the modified units and new maps? Let us know in the comments!